Little is known about the neurobiological substrate of developmental coordination disorder (DCD), a neuro-developmental syndrome with significant, negative impact on the motor, cognitive and affective level throughout lifespan. This paper reports the clinical, neurocognitive and neuroradiological findings of a 19-year-old patient with typical DCD. As demonstrated by mild ataxia and a close semiological correspondence with the recently acknowledged ‘cerebellar cognitive affective syndrome’, clinical and neurocognitive investigations unambiguously indicated functional disruption of the cerebellum. Structural MRI of the brain confirmed cerebellar involvement revealing a slight anterior/superior asymmetry of vermal fissures consistent with rostral vermisdysplasia. Although this abnormality of vermal fissuration is generally considered an incidental neuroradiological finding without any clinical relevance, a potentially subtle impact on the developmental level has never been formally excluded. In addition to a generally decreased perfusion of the cerebellum, a quantified Tc-99m-ECD SPECT disclosed functional suppression of the anatomoclinically suspected supratentorial regions involved in the execution of planned actions, visuo-spatial processing and affective regulation. 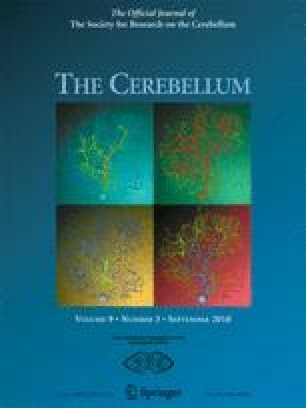 Based on these findings, it is hypothesised that the cerebellum is crucially implicated in the pathophysiologcial mechanisms of DCD, reflecting disruption of the cerebello-cerebral network involved in the execution of planned actions, visuo-spatial cognition and affective regulation. The authors thank Prof. Philippe Demaerel for his helpful comments with regard to the neuroimaging data and Mrs Inge Bats for the photographic work. All authors of the manuscript (Peter Mariën, Peggy Wackenier, Didier De Surgeloose, Peter P. De Deyn and Jo Verhoeven) explicitly disclosed no conflicts of interests.